Yikes! Why do these air crashes all seem to happen prior to me taking a series of long flights. Thankfully, I'm a bit of a fatalist and don't worry about such things. About 10 + years ago one of the popular active members in Thaivisa died in a flight over Indonesia or Malaysia (I can't remember which). He was a really great guy and loved by many. Not fun and the plane was not old delivered only 2 months ago. Yeah, worrying development, Lion subsiduary Malindo now fly daily to Melbourne (and elsewhere) using 737s, they ordered new A330s but they did not arrive in time. Apparently the plane had instrument problems the day before!So it might have not been instruments? The plane dropped more than 500 feet (152 metres), veered to the left and then started climbing again to 5,000 feet. It gained speed in the final moments before data was lost when it was at an altitude of 3,650 feet. Whilst industry speculation runs rife the known facts include faulty airspeed pitots and other instruments being checked after the previous days flight. It is possible that the faults persisted resulting in no airspeed or altimeter readings being available to crew (and FMC) after take-off. This might explain erratic speed (high) and (low) height gained in climb. 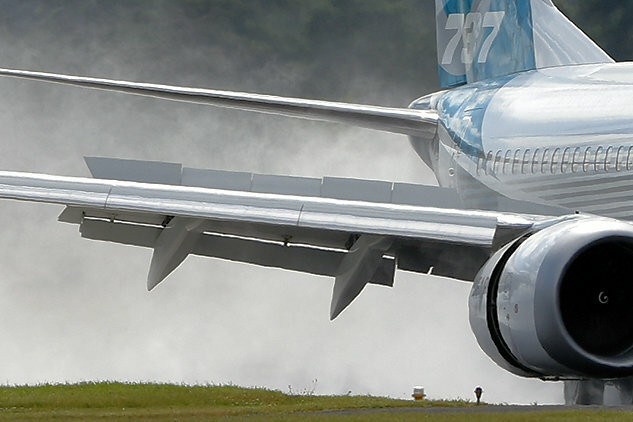 737Max also has FBW (fly by wire) spoilers which might, just might have caused the accident if deployed resulting in a stall. The cause of this tragedy will be found and may prove to be a cascading set of faults due to something else entirely. ^ yeah it will all come out in the wash...plane not even found as yet. At least the plane was still under warranty. Hopefully they kept their receipt. plane not even found as yet. A mates theory....Previous flight reported problem with instruments. Techs tested and (didn't) repair the system. My thinking is most probably a leak in Static or Pitot pipe inside the pressurised cabin. Once the aircraft was pressurised, the increased cabin air pressure would cause wildly conflicting readings when compared with the rapidly decreasing air pressure as the aircraft climbed. If the techs tested the Pitot/Static without pressurising the cabin, no fault would show.It takes about an hour to fully pressurise the cabin and let it stabilise. That's a very good theory, especially the non-pressurised test part. Also a rainstorm over Jakarta night b4 could have filled pitot's with water if covers left off. But why did the plane fall out of the sky from ~4,000 ft doing in excess of 300 knots? A good pilot should have been able to fly manually unless there was a serious control surface fault or damage. The pitot tube has a drain, also anti-icing, but, as I said, its his theory. No doubt there are two completely independent Pitot Static systems on a 737 as well. I truly hope that they find out what caused this tragedy whether it be pilot error or aircraft malfunction . Alon Soetanto told TVOne the plane dropped suddenly several times in the first few minutes of the flight. "About three to eight minutes after it took off, I felt like the plane was losing power and unable to rise. That happened several times during the flight," he said. "We felt like in a roller coaster. Some passengers began to panic and vomit." That was on the previous flight, and they still let the plane fly without major inspection and service. According to the article they've just been taken off US and EU's black list. They obviously weren't ready to join the rest of the world yet. The unusual engine behaviour can be attributed to STS (auto throttle) respose to FMC commands based on inaccurate speed and altitude data input and or pilot manual over ride. Both engines appear to have been operating normally, as commanded, right up to the last second d of level flight. This faulty pitot theory is being talked about in the news now by the authorities. Last edited by Moo Uaon; 1st November 2018 at 08:50. Black box pings heard, but strong currents hampering retrieval. All times are GMT +10. The time now is 05:14.